The students of musical acting at JAMU will be introducing the musical Cabaret in two premieres. The production, directed by Martin Vokoun has two alternating performers of the main female role, Sally Bowles. Cabaret is the work of the composer John Kander, who worked with Fred Ebb and Joe Masteroff’s texts. The musical was first performed in 1966 at the Broadhurst Theater at New York with great success. Their performance, directed by Harold Prince, received seven Tony awards, including for best musical and remained in the repertoire for three years with 1160 performances. Later, a film version was created by director and choreographer Bob Fosse, with Liza Minnelli, Joel Greve and Michael York in the leading roles. The film received eight Oscars. Director Martin Vokoun sees Cabaret as a bit of a parallel to the current socio-political atmosphere. “The story wouldn’t be so pronounced if we had moved it to the time of today. For Europe, the rise of extremist parties and movements (be they left or right) is a huge threat and one of the reasons why we chose this title. The audience will find a strong parallel to what is happening in Europe even without the violent update,” said the director. The theatrical expedition to the Cabaret production, taking place in the Berlin Kit Kat Klub, was created together with the Brno City Theatre, the Barka Theatre and the Brno Bosonohy Building Crafts Secondary School. The musical parts production was done by Karel Albrecht, working on the former version of the musical. The main role was taken by Kristina Jurková and Kristina Kubačková. 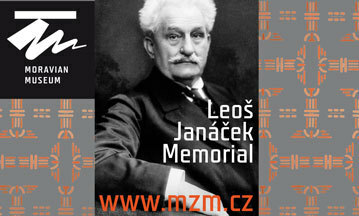 The two premieres will take place on 24 and 25 January at 7 p.m. in the Divadlo na Orlí theatre.